Email, call, or visit us to receive a free Mozena lawn sign, banner, and/or calendar! It takes less than 60 seconds to order your Steve Mozena for Mayor Lawn Sign, Banner, and/or Mozena Family Photo Calendar. Click the link below and we will deliver your sign, banner and/or Mozena Family Photo Calender within the next several days while supplies last. Better yet, just call us at 1-562-498-7100 to place your order. 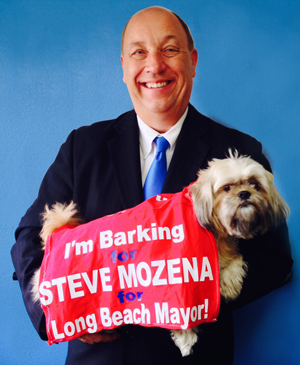 Show your support to Revive Long Beach with Steve Mozena, a businessman, a job creator as your next Mayor of Long Beach. 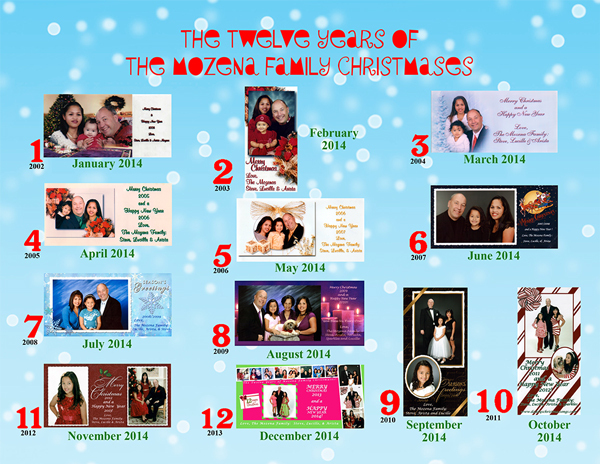 Click here for a Lawn Sign, Banner and/or Mozena Family-Photo Christmas Calendar. 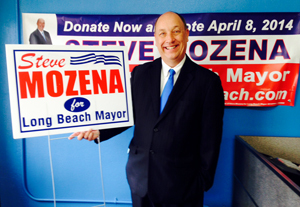 Or pick up your yard sign, banner and/or calendar from the Mozena for Mayor Headquarters 3935 East Anaheim Street, Long Beach, CA 90804. Free Parking behind our building. Turn left into the alley on Termino Avenue across from KFC. Let's begin a new era—no more career politicians and lawyers in our government. Elect Businessman Steve Mozena as your next Mayor. It just makes Dollars and Sense for everyone in Long Beach. Even Steve's dog Sparkles shows support with her Doggy Jacket!